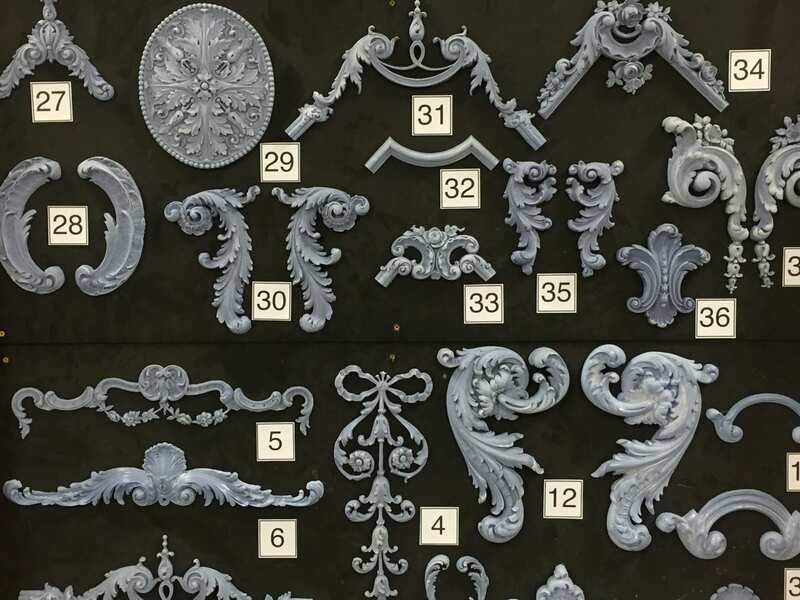 This shows just one board of some of the beautiful french rococo molding that we used in the Paris Apartment. I will have to say that picking moldings is one of the really fun parts of the Production Designer, Art Directors or Set Designers jobs!!!! It is like toys for adults, we love them though they aren’t cheap. Most of these came from a supplier in Chicago. The plaster men would make many many cast of each to cover the walls of the sets.